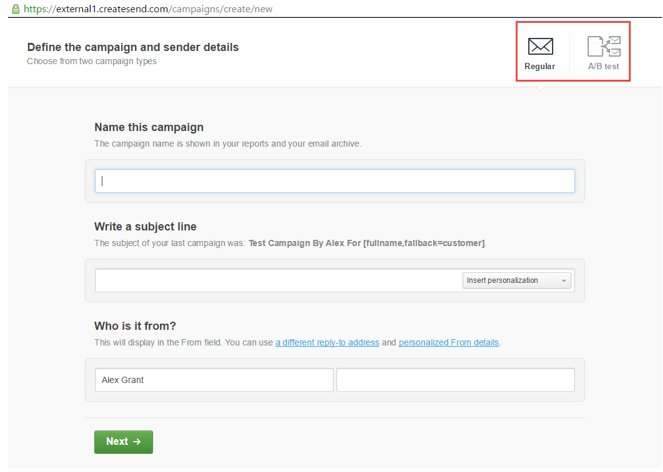 Once you have created your desired template, you can then generate your campaign. This is where you actually send your campaign to your distribution list. After you have chosen which method you are going to use (standard or A/B Test), please complete the required fields, choose your email template and customise it where required.